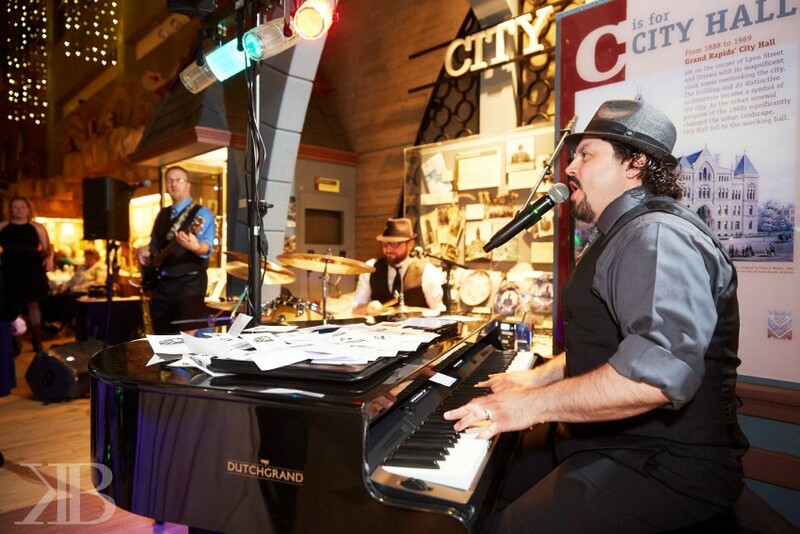 Main Street Dueling Pianos is a fearless music team that performs an all-request, high energy show with a healthy dose of interactive comedy thrown in to entertain for any event – wedding, corporate party, country club, fundraiser – you name it! Audience members fill out a request slip, slap it down on the pianos, and enjoy! Our entertainers have an impressive repertoire of 1,000+ songs, so we can cater to virtually any age group or style event. With over 15 years of experience, you can rest assured your party will be in excellent hands with the highest quality talent and equipment. From the day you reserve your date, to the last song, we work with you to make sure everything is perfect. 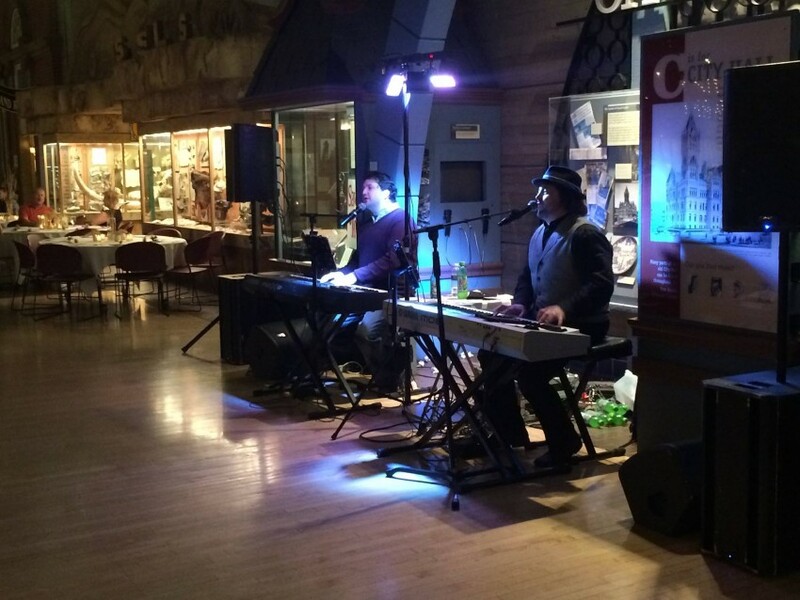 In addition to dueling pianos, we offer different line-ups to fit any budget or style event. This ranges anywhere from solo piano, and all the way up to a dueling piano band with drums and bass! 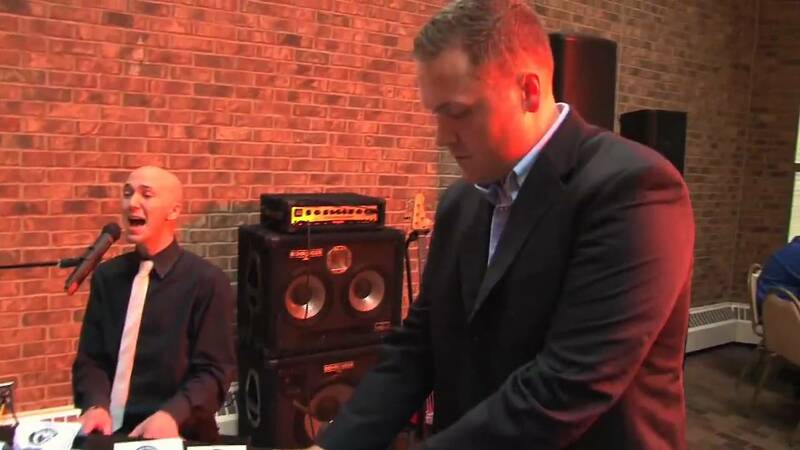 Main Street Dueling Pianos is the perfect entertainment for your wedding reception. Live bands cannot compete with the massive library of music a DJ possesses, and a DJ cannot compete with the excitement and energy of a live band. With Main Street Dueling Pianos, you get both! Each piano player knows hundreds of songs, and performs with as much energy as you’ll ever experience from a live performance. From the moment you choose Main Street Dueling Pianos as your wedding reception entertainment, not only will you get the best live performance, but you’ll also have peace of mind that your entire reception is in the hands of true wedding professionals. You don’t have a wedding planner or coordinator? No problem. Main Street Dueling Pianos will handle all those responsibilities on your big day, working with all the other vendors to ensure your reception runs smoothly and on schedule. All you’ll have to do is show up, relax, and celebrate with your friends and family! Main Street Dueling Pianos is by far the best choice for entertainment for your fundraising event. Not only do you get a high energy, interactive show, but Main Street Dueling Pianos offers something to fundraising clients no other live performing group can deliver: cash back at the end of the evening. The Main Street Dueling Piano show is entirely request-driven, meaning those in attendance choose their favorite songs for the players to perform. For fundraisers, the players encourage the audience members to include tips with their requests, playing the song requests with the highest amount of tips over the song requests with lesser money. The players use techniques such as pitting country music against rock & roll, or college fight song battles to encourage tipping. At the end of the night, all tip money the piano players are able to acquire is turned over to the fundraiser. That’s right, the piano players donate every last dollar from the tip jars to the cause, giving you cash on hand at the end of the evening. The combination of the professionalism and quality of the entertainment, and the ability to provide money back at the end of the event, makes Main Street Dueling Pianos the obvious choice for your next fundraising event! Looking for something fresh and different for your next corporate holiday party? Tired of having the same old same old at every company picnic? Let Main Street Dueling Pianos make you the hero of the planning committee! Each show is completely request-driven, meaning that no two shows are ever the same. You and your coworkers choose the direction of the show, because you and your coworkers are the stars of the show; the piano players are merely the “Facilitators of Fun”, playing the songs you and your coworkers choose. Main Street Dueling Pianos will provide up to 3 hours of live, nonstop, interactive entertainment, giving you and your coworkers a night they’ll be talking about around the water cooler for weeks and months afterwards! Main Street Dueling Pianos brings groups of people together like no other live entertainment. 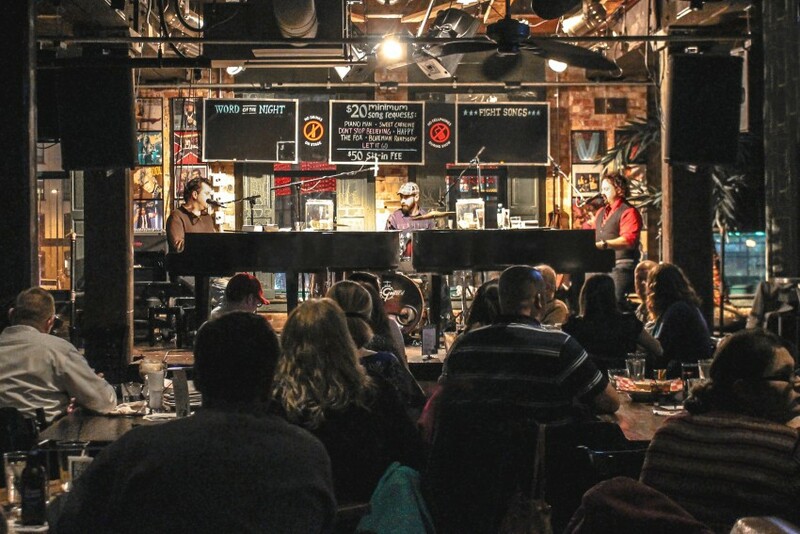 Whether you’re having a Member’s Golf Tournament, or throwing a Member-Guest party to entice new membership, Main Street Dueling Pianos makes everyone feel at home during each performance. The combination of playing requested songs with the right mix of humor and funny bits entertains every crowd, whether everyone in the room knows one another, or people are meeting for the very first time. Everyone shares in the experience, and members – new and old – will be talking about the night for days, weeks, and months to come. Always performing a PG rated show, Main Street Dueling Pianos will also get groups of people “in front of the class” to perform hand motions to silly songs, just to mix things up. Make your next member event be the best party you have ever hosted with Main Street Dueling Pianos! If you own or run a nightclub, and are responsible for providing live entertainment for your patrons week in and week out, let Main Street Dueling Pianos give you that “something new” you’ve been looking for. Two baby grand pianos or keyboards face each other on stage. All night long the piano players take requests from the audience and play songs from virtually any genre. The crowd is encouraged to sing along, clap their hands, and of course drink! Not only will your patrons be constantly reminded to take a drink, but they will also be reminded to tip their bartenders and servers, which always makes for a happier staff for the night. The overall goals for Main Street Dueling Pianos are to make your patrons have the time of their lives, help make the staff earn great tips, and above all, make your cash register ring! With Main Street Dueling Pianos, the audience IS the show, as opposed to the usual dance club or sports bar scene; the piano players are simply the “facilitators of fun”. If you are looking for an evening of entertainment that is unique and fun, with entertainers who know how to get a crowd going, and most of all, keep them in the club and drinking all night long, Main Street Dueling Pianos is exactly what you are looking for! Throwing a graduation or anniversary party for a family member? Want to throw a surprise birthday party for your spouse? Let Main Street Dueling Pianos make your house party the most memorable event your family and friends have ever experienced. Because each piano player possesses their own enormous song list that spans decades of music, everyone at your house party, young and old, will be able to make and enjoy their song requests throughout the entire party. Throwing a 40th birthday party? No problem, Main Street Dueling Pianos knows hundreds of 80’s and 90’s tunes. Grandparents having a 50th wedding anniversary? Hours of 50’s and 60’s music coming right up! Daughter is graduating high school? Every piano player keeps their repertoire up to date and current, so hits from the past decade…covered. No matter the age group, Main Street Dueling Pianos will entertain every last person for whatever event you’re hosting in your home. So if you are looking for that last piece to the puzzle to put your house party over the top, look no further than Main Street Dueling Pianos! Joe Laureano, the band leader of Main Street Dueling Pianos, has been performing rock-&-roll professionally his entire adult life. He began his journey graduating from Otterbein College with a Bachelor’s degree in Music Theory & Composition. Since then Joe has accumulated over twenty years of performing at dueling piano bars, wedding receptions, corporate parties, fundraisers and more. The high demand for his talent has lead Joe to entertain all across the country–from Miami to Seattle, and from Baltimore to San Diego. Main Street Dueling Pianos puts on an all-request show, meaning the audience dictates what we play by writing down a request. This list is a sample. We know more songs–just ask! I was one of the groomsmen's mothers who was in attendance at the wedding this past Saturday. Your piano music was awesome! You really kept the crowd on the dance floor. There wasn't anything that you couldn't play and you played all of the songs requested. You helped make it the great wedding that it was! The people from both towns are talking about your music. We were very impressed. I would recommend your entertainment to anyone, especially if they were going to have a wedding. Thanks again for the great music! Unbelievable! That was the buzz word at my daughter's wedding reception. Joe and Nate played their hearts out and had the whole crowd on their feet all night. People who NEVER dance at weddings were on the floor. When it was time to shut down, I was nervous we were going to have a riot. No one wanted them to leave! What tremendous talent and a gift for playing the right songs at just the right times. They were fun, courteous and thoughtful. Just downright professional. I only wish we had another wedding coming up soon so we could book them again. Thanks so much guys. Main Street Dueling Pianos performed at my sons wedding reception and I couldn't have asked for a better night. I heard they were great, but they exceeded my expectations. Their performance was something we'll never forget. I'm so happy we chose them to be a part of a special day. Thanks for a fun and entertaining reception! I'm a professional photographer and photographed a wedding last night where the Dueling Piano group performed. What a great performance. I was booked for 7 hours of coverage and stayed 9. There was no way I was leaving this entertainment! At one point the videographer approached me. He told me that he videos 50 weddings a year and has never seen anything like this. I never have either. Amazing talent! Amazing performers! When my clients ask me about entertainment, Main Street Dueling Pianos will be my enthusiatic recommendation. The show was a total success! I can't believe the amount of positive comments we got about the show. Our guests had a blast. Keep up the great work guys. Thanks.